The three-term Pre-Medical and ten-term Doctor of Medicine (MD) degree programs, in combination, offer a comprehensive medical education and prepare students for postgraduate education in the U.S.
Students who have earned college level credit concurrently during the completion of secondary school or attained credits from undergraduate institutions are encouraged to apply to the Pre-Medical program as these credits will be considered in the admissions process. Most students entering Trinity School of Medicine's Pre-Medical program directly from secondary school will require a minimum of 5 years to attain their MD degree. Students will generally attend three consecutive terms per year. The year-round format reduces the length of time required compared to other programs. Students may choose to take a term off between the programs and again in preparation for the Step 1 board exam, with faculty approval. The timeline below shows the entire pre-medical MD combination program in consecutive terms. Like any other undergraduate program, certain criteria must be met in order to be enrolled in the Doctor of Medicine (MD) program, including a sufficient Grade Point Average in the core sciences. 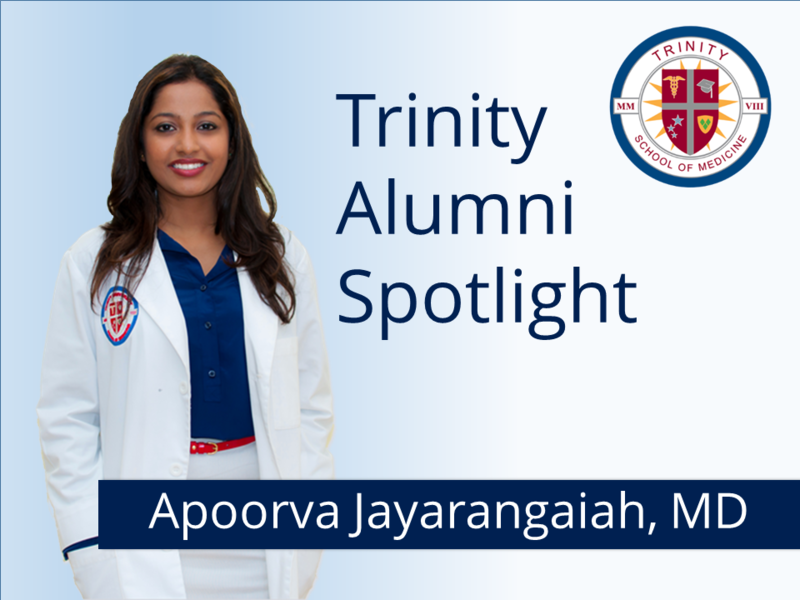 Students who successfully complete all requirements of the Pre-Medical year with a minimum of a 3.0 cumulative grade point average with no more than three (3) grades lower than a B will be considered for promotion to Trinity School of Medicine's Doctor of Medicine degree program. What is the advantage of Trinity's Five-Year Program? Enrollment in Trinity School of Medicine's 5-Year Program will better prepare you for achieving residency and licensure in the United States. Applicants should complete the online application and include their school transcripts for review by the Assistant Director of Admissions for the 5-Year combined program. Students with Non-English transcripts may be asked to have their credentials evaluated by World Education Services (WES), an accredited member of the National Association of Credential Evaluation Services. Once your academic credentials have been received, a decision on your application for admission can be made. Accepted applicants whose previous academic work is determined to be equivalent to courses in the Pre-Medical curriculum will be granted credit for those courses and exempted from taking courses that cover topics and disciplines the student has mastered. Applicants for admission to the 5-year combined program may apply to start in January, May or September of any given year. Each term is approximately 15 weeks in length. Class size is presently limited to no more than 25 students. Once a class is filled, applicants seeking admission to that class may be deferred to the next Term. For this reason it is recommended that interested persons apply for admission as early as possible. No students will be considered for matriculation into any Trinity School of Medicine program from countries that are under sanctions by the United States Government or have Travel Advisories listed by the United States Government website. These sanctions and/or travel advisories may restrict a student's ability to access clerkships.